Here is a gentle lullaby written and performed by Pentatonix. Traditionally sung in front of a single microphone in live performances, Hallway featured bass Avi Kaplan during his final year with the award-winning group. 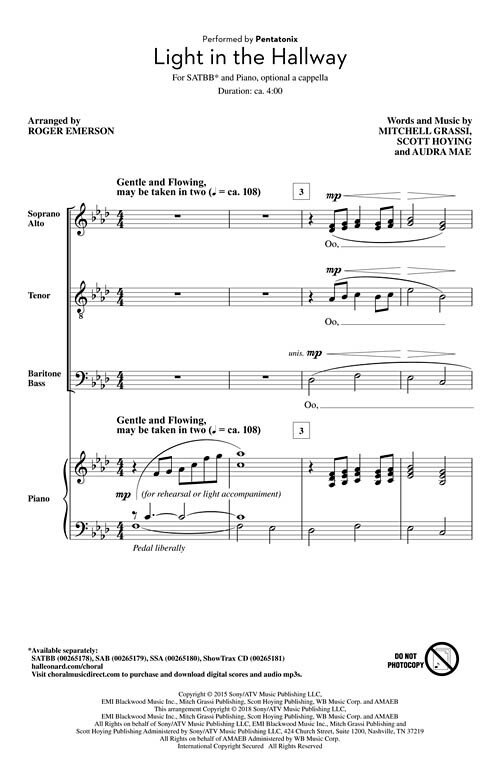 This arrangement can be sung a cappella or with the piano and bass parts provided. Suitable for concert, jazz or show choirs.